Home » » New Catching Fire photos from Hunger Games Explorer! New Catching Fire photos from Hunger Games Explorer! We are seeing some updates from TheHungerGamesExplorer.com in the run-up to the Catching Fire teaser release. 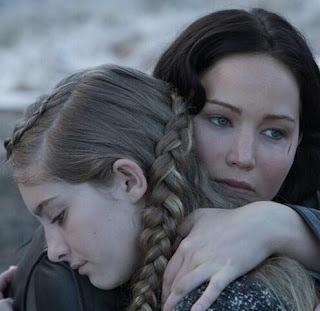 A new still of Katniss and Prim was released on the site today! It seems that tweeting the hashtag #HungerGamesExplorer will reveal a new photo each day..
Stay tuned to TheHungerGamesExplorer.com, and keep tweeting that hashtag! UPDATE: A higher quality version of this image can now be seen on our images page.